COPENHAGEN—Greenland on Sept. 10 picked Denmark as a partner in a planned upgrade of two airports as it sought to defuse a diplomatic row over how the infrastructure projects, of strategic interest to both Washington and Beijing, should be financed. The Arctic island is a self-ruling part of Denmark, which is concerned that Chinese investment—on the agenda since Greenland’s Prime Minister Kim Kielsen visited Beijing last year—could upset the United States. Kielsen on Sept. 10 agreed to let Denmark pay 700 million Danish crowns ($109 million) for a 33 percent stake in Kalaallit Airports, a state-owned company set up to build, own, and operate the airports in the capital of Nuuk and the tourist hub in Ilulissat. At a meeting with Danish Prime Minister Lars Loekke Rasmussen in Nuuk on Sept. 10, Kielsen also agreed to let Denmark provide credit worth 450 million crowns ($70 million) for the projects and provide state guarantee for another 450 million crowns ($70 million) loan from the Nordic Investment Bank. In January, Beijing laid out ambitions to form a “Polar Silk Road,” an extension to its One Belt One Road initiative, by developing shipping lanes through the Arctic and encouraging Chinese enterprises to build infrastructure in the Arctic. 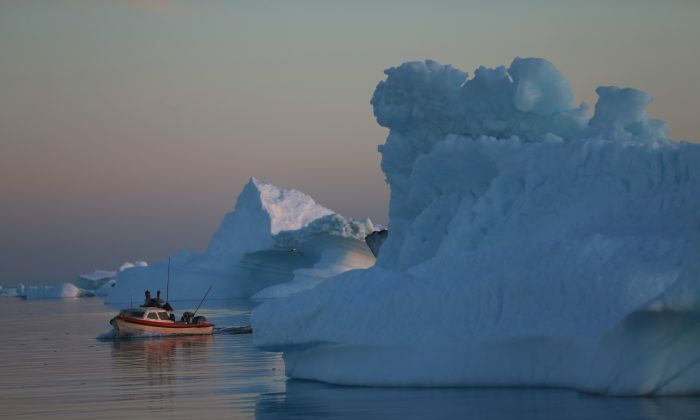 A Chinese construction company later appeared on a list of six firms that have shown interest in the Greenland projects, whose costs are estimated at 3.6 billion Danish crowns ($559 billion). Greenland, itself also eager to benefit from growing activity in the Arctic, plans to expand the airports to accommodate direct flights from Europe and North America.